The Accreditation numbers look to have settled down. By early October, the picture had changed. Now we have what looks to be the final version. Richmond’s large TBD population in September has mostly moved into the “denied” category. 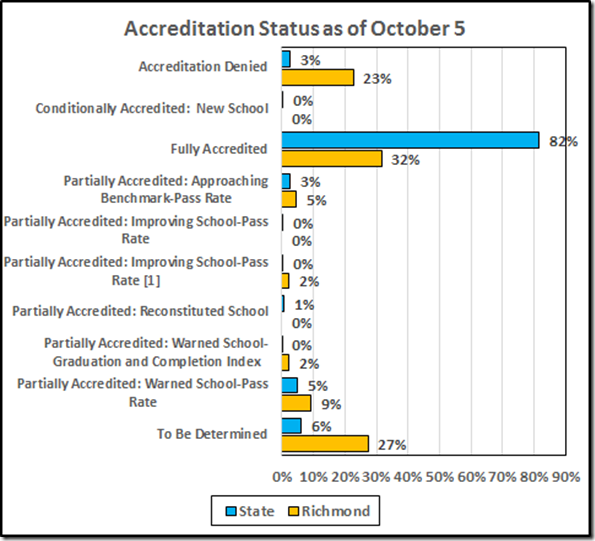 Just under a third of the Richmond schools are fully accredited. 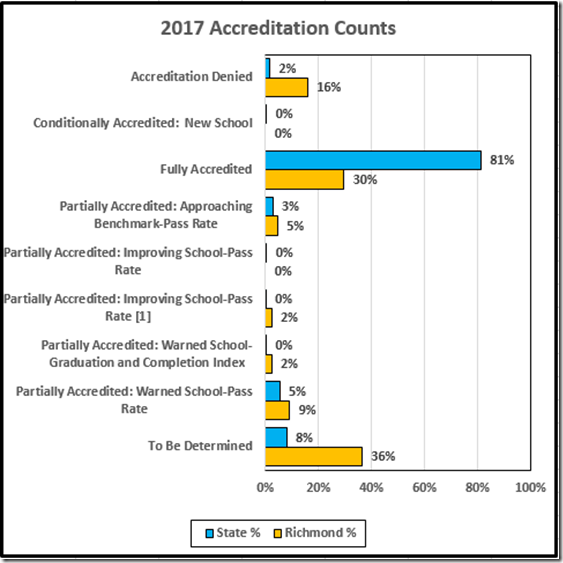 That leaves two-thirds unaccredited: 39% flatly denied accreditation with the remaining 29% near accreditation or in various stages of avoidance (“reconstituted” schools, i.e., accreditation denied but persuaded VBOE that they are trying hard). 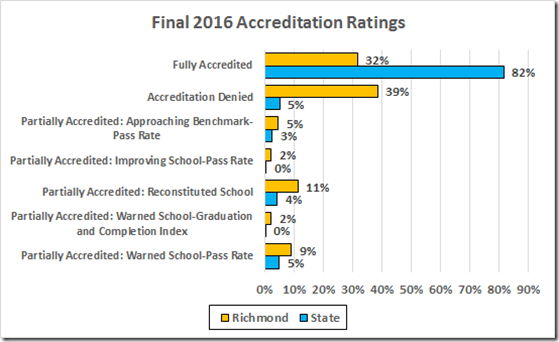 Last week, a Freedom of Information Act request to Richmond disclosed that our division has requested a division-level academic review. When the Board of Education determines through the school academic review process that the failure of schools within a division to achieve full accreditation status is related to division-level failure to implement the Standards of Quality or other division-level action or inaction, the Board may require a division-level academic review. As well, we now may get to see whether the division-level review – by a Board that admits it does not know how to fix broken schools – might do anything to help our (very) large collection of awful schools.